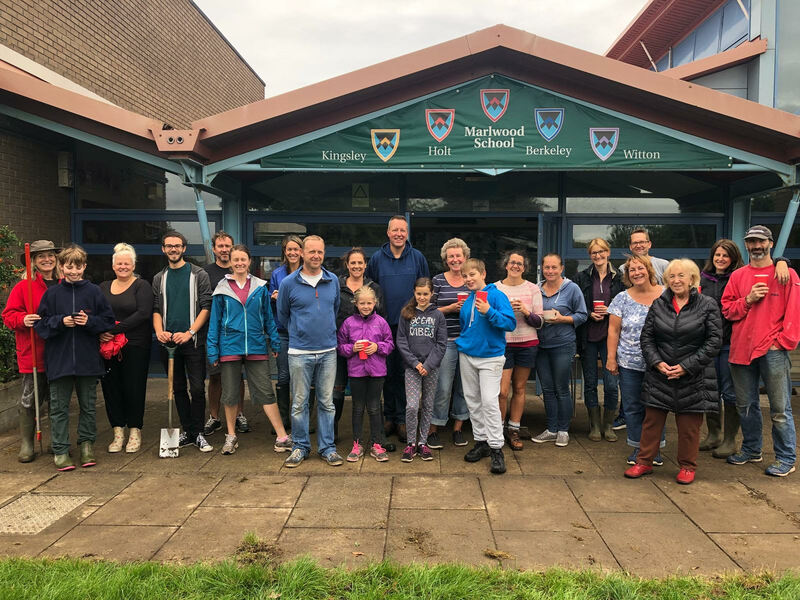 A PARENTS’ group is using an Amazon wish list and ‘upcycling’ to equip cash-strapped Marlwood School. The Alveston secondary school’s financial struggles were highlighted in recent BBC2 documentary series School. But the Friends of Marlwood School (FOMS) is taking practical action, taking requests from the school for equipment needed in classes and circulating them to supporters via a Facebook group, #WeAreMarlwood. The group, which has more than 1,600 members, passes on requests from the school for equipment – from laptops and cameras to board games for lunchtime play – which can be reused or ‘upcycled’ for use in school. It has also set up an Amazon wish list so that supporters can easily buy the school small items. Items on the list range from boxes of ballpoint pens and glue sticks to laptops and a GoPro camera. FOMS reformed early last year and has also been doing practical work at the school, providing a decorated Christmas tree donated by Almondsbury Garden Centre and serving refreshments at school events. Last year the registered charity raised more than £5,600 for equipment including a 3D printer, software, microscopes and calculators. Four gardening days run by volunteers helped to keep the grounds maintained. Among the ‘upcycled’ items they have provided are two pianos, three table tennis tables, a dishwasher and hundreds of books. The friends group says that, since the BBC2 documentary, which showed the school going into special measures last year, there have been changes at the school which are having a positive impact. Since September the school, under new head Del Planter, has consistently improved pupil attendance, which is now the highest across Castle School Education Trust (CSET) schools and many new staff have joined. Melinda Evans, of FOMS, said: “There are good things happening at the school. The school is determined to improve and is doing so. FOMS have been very active in working to help pupils and staff since it was reformed a year ago. FOMS also wants the children to be able to be proud of their school." Mr Planter said: “The whole school community is very grateful to all the generous people who donated via the Amazon wish list and their good wishes. The support has been overwhelming. “As we continue to work tirelessly towards the removal of special measures we have had to be selective in the projects we pursue in the context of reduced staffing and other constraints. “I am currently working with some contacts made through the ‘we are Marlwood’ group and FOMS with a more strategic focus on enabling us to realise our vision for the school. “We are also excited about the links we are beginning to re-establish with our local primary schools and the potential to engage our new partners in this programme. This year FOMS aims to raise enough money to buy large items of PE equipment, help with gardening and painting, and hold a party for parents and alumni. Its next gardening event is on Saturday, February 9 from 10am. Anyone can join FOMS, which meets every month. As well as the Facebook group supporters can get in touch via email at info@foms.co.uk. The school's wishlist can be found here and you can find the Facebook group here. Picture shows Marlwood School supporters at a gardening day at the school.